Use this pack to build math skills in the classroom or gym! 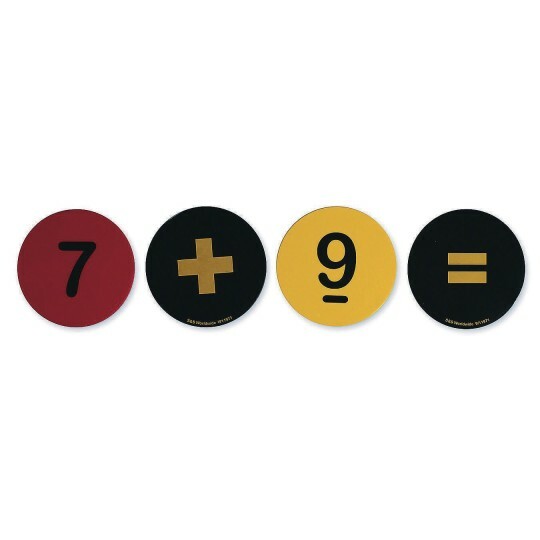 Use this pack to build math skills in the classroom or gym. Includes 46 five-inch diameter spot markers. 36 spots have numbers 1 to 36 printed on them, and 10 spots have math signs printed on them. 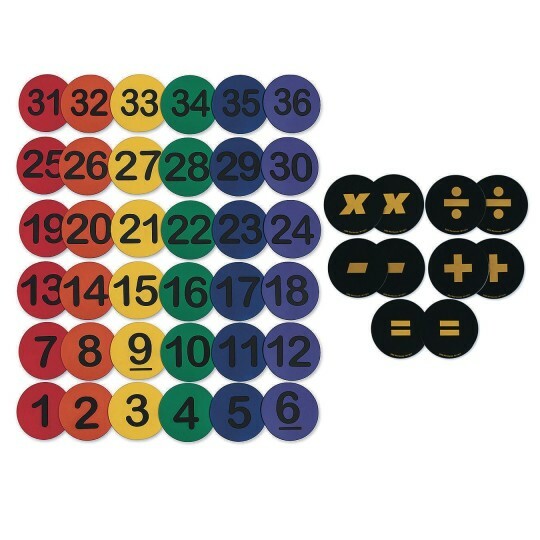 The math signs include two each of addition, subtraction, multiplication, division, and equal signs.